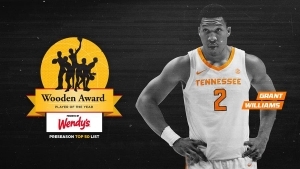 LOS ANGELES — Grant Williams racked up his third preseason national player of the year consideration on Tuesday, as the John R. Wooden Award presented by Wendy’s announced its Preseason Top 50 Watch List. Chosen by a preseason poll of national college basketball experts, the list is comprised of 50 student-athletes who are the early front-runners for the most prestigious honors in college basketball, the Wooden Award All American Team™ and Most Outstanding Player Award. The reigning SEC Player of the Year is also a potential candidate for the Citizen Naismith Trophy Men’s Player of the Year and NABC Division I Player of the Year, being tabbed to the watch lists for those awards on Monday. Throughout the preseason, Williams has also been named to preseason All-SEC teams by every major sports publication, while also earning the SEC’s Preseason Player of the Year honors from the league’s media back in October. He was named to the watch list for the Karl Malone Award, which recognizes the top power forward in college basketball, and was selected via fan vote as the NCAA March Madness Preseason Player of the Year. The Charlotte, North Carolina, native opened the 2018-19 campaign with 13 points, seven rebounds, five assists, two blocks and two steals in an 86-41 win over Lenoir-Rhyne in Thompson-Boling Arena. The sixth-ranked Vols return to the hardwood on Friday night, hosting Louisiana in a 7 p.m. tip. 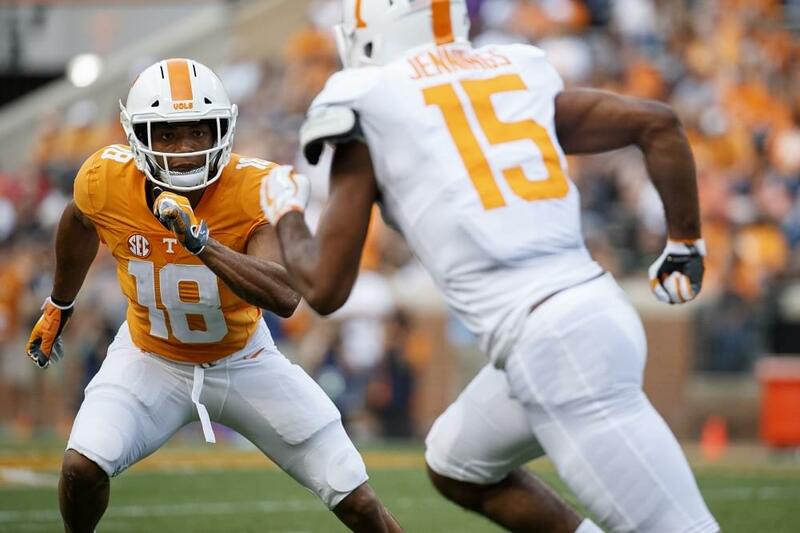 The game will be broadcasted online through SEC Network+, and tickets are available at AllVols.com.